Your home away from home. All suites with spacious 1 and 2 bedrooms. All guestrooms have kitchens, free local calls, HBO, laundry facility. Minutes from dining, shopping and entertainment. 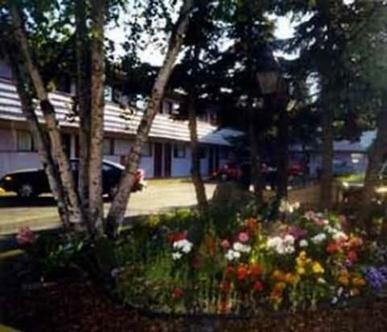 Located one mile north of Anchorage and minutes from the Airport. A quiet and comfortable place to stay at a great value. Pets upon approval.